I live in a jar filled with water. Water from my past, water in my present, and water for my future. I am just a child as I grow inside this jar. 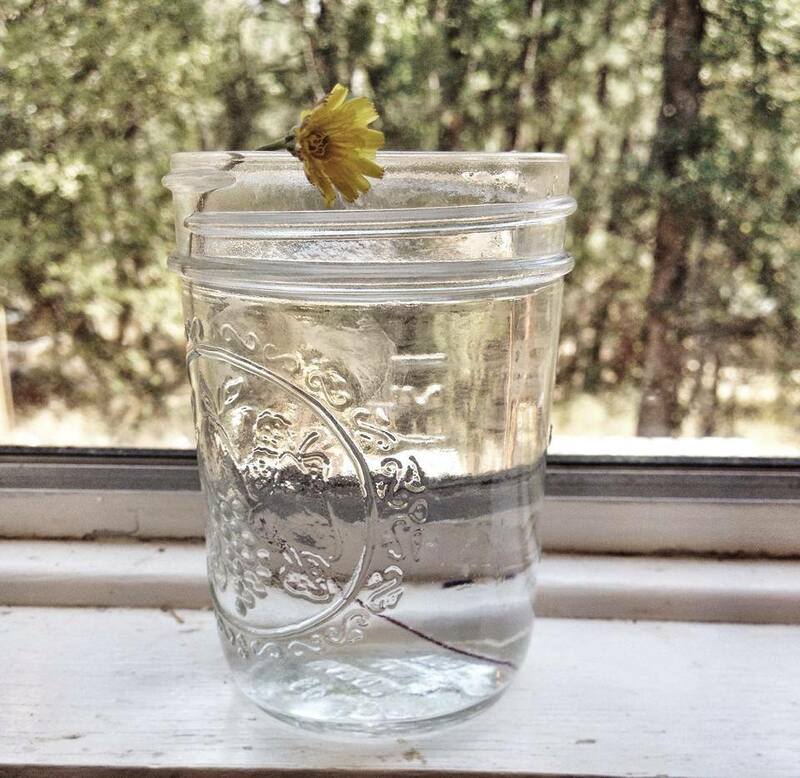 The water represents my appearance and actions, and the jar reveals my transparency. Everyone can see my life and the decisions that I have made. Everyone looks with curiosity at the woman I am becoming. The transparency of my jar unnerves me all the more. What are they seeing? What are these people deciding about my heart? What are they concluding about my life? I wonder very much, because they never look at me. They only look at my jar. And I conclude that I must be a victim, because others are watching me. They are judging me. Then, occurring to me most suddenly is this: Christians have walls so that others will take the time to tear them down. Walls around the heart. Walls around the soul. Walls around everything. Fake walls that are only there to selfishly protect what they believe others should work to see. But the overwhelming truth is that we all live in jars of water. Transparent. Imperfect. Even dirty. I am so concerned with myself and the way that people see my transparent jar that I forget about others. What is the greater burden? The fact that I am judged, or the truth that I don’t care enough to love those around me? My jar is filled with water. Some of it clean. Much of it dirty. Some of it soiled from past sins. Though, all of it forgiven. And still, for most of my life, I have lived inside this jar and screamed to the world these words: Lonely. Neglected. Survivor. Betrayed. Forlorn. Lost. And I yell to others, “Listen to me! I am the child in the jar! See what you have done to me! Do you see that you have judged this poor Christian? Don’t you know that I am suffering? I am alone. I am crying. I am strong for everyone else, but I am dying inside. Just open your judgmental eyes and see me for once! The truth is rather alarming. Everyone screams the same thing. We all scream about ourselves. We are all children living in jars. Transparent, even though we think that we have built sturdy walls. Judged, no matter how much we will fight against it. Growing, no matter how many time we refuse to embrace it. Fine if you think that the world is against you. Fine if you decide to only see yourself. Fine if you play the suffering card every day of your life. Fine if you see the transparency of your jar and claim victim while condemning the jars of others. But today I have decided that I will purpose to live in this jar while seeing the growth and beauty of other hearts. Have we forgotten that there is a flower living within each jar? The flower is delicate. The flower is beautiful. The flower is growing. The flower is reaching heavenward. Heavenward to Christ. The delicate flower of a Christian’s heart. Easily crushed by the words of fellow believers. Easily wilted by the unabashed stares at its dirty water. Easily forgotten by you. Easily forgotten by me. Because Christians are not concerned about the heart. We are concerned about the blackness of each other, and we are concerned primarily for the broken jar in which we live. We have forgotten that we are transparent so that others may be drawn to Christ. We have forgotten that our dirty water shows others the forgiveness and grace of Christ. And we are open for the world to see, because we have the truth. We are see-through so other Christians can be encouraged by us. We are flowers in transparent jars of water. We are flowers growing for Christ. The point is not the jar. The point is not the flower. The point is that we live for the glory of Christ. Transparent for Him. Broken for Him. Forgiven for Him. Alive for Him. Have I forgotten the truth?